Take on The Joker, Catwoman and Two face with this classic officially licensed Batman Brave & The Bold Fancy Dress Costume. 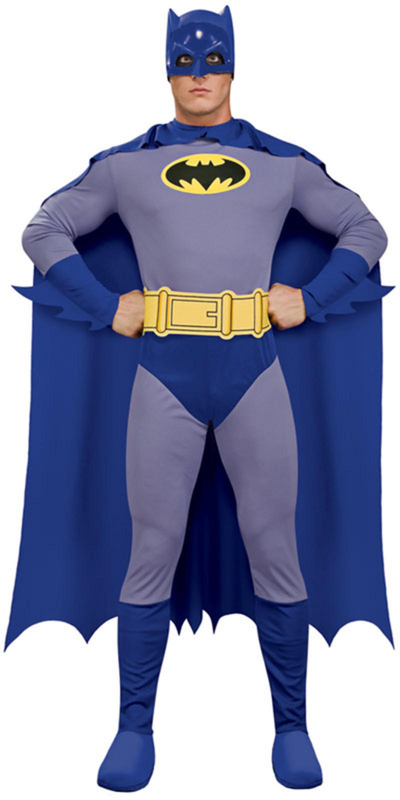 The costume includes everything you need to turn you into the caped crusader and features an all in one grey and blue jumpsuit with Batman logo to the chest and a yellow utility belt, the suit has attached boot toppers and an attached blue hood with eye holes. Finishing the look is a blue cape so you can fly around fighting crime! 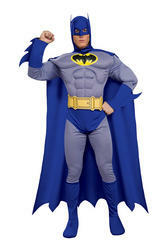 Chase those villians off in style in this classic Batman costume. Great for any superhero fancy dress party!